Have you ever tried to access and use your webcam for more than one program at the same time? Usually, the second program will alert you to a "webcam busy" error. This makes it difficult to multitask and time-consuming when you need to accommodate various audiences. What if there was a way to split the video from a single webcam across multiple programs? If this is what you're seeking, then look no further because AlterCam is capable of doing exactly that! AlterCam can operate across an unlimited number of programs in real-time through virtual webcam technology. This is made possible by AlterCam acting as an additional layer to your regular webcam; essentially tricking programs into thinking that each AlterCam-generated feed is coming from its own unique webcam. From here, specify that you want the program to use AlterCam. You can do this with as many different programs as your computer or device can run at the same time. See for yourself today with our free trial download. 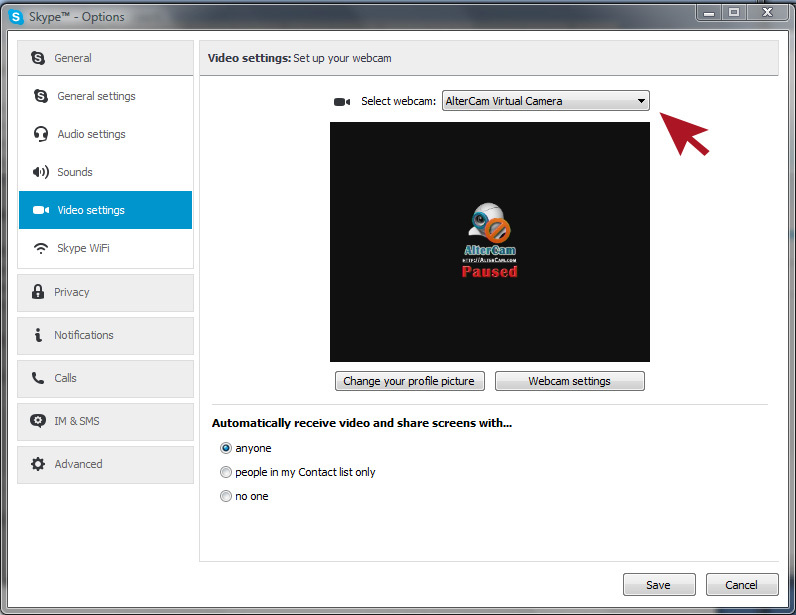 We're sure that once you give AlterCam a try, you'll never look at webcasting the same again!